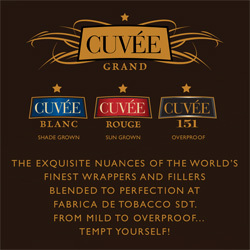 Cuvee Cigars, made by the highly acclaimed Cusano Cigar company, use only the top ten percent of tobacco, which surely contributed to their exceptional taste and high ratings. 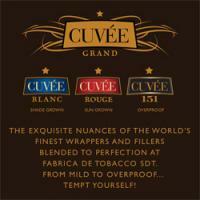 In fact, Cuvee Cigars were a European Cigar Journal, Top 10 Cigar in 2008 and in addition, received their acclaimed (Brilliant) award. They are available in three distinct wrappers and blends and are a welcome addition to the Cusano Cigar family.